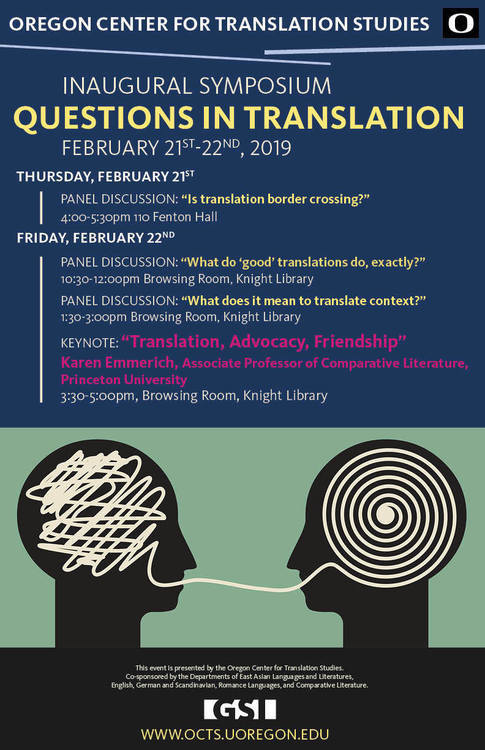 The Oregon Center for Translation Studies will be hosting its first symposium, Feb. 21-22, 2019. The event will include a distinguished keynote speaker and roundtable panels addressing some of the key issues in translation. A more detailed schedule will be forthcoming, but please mark your calendars and plan to join us for an opening panel on Thurs. Feb. 21, 3:30-5:30 (110 Fenton). Additional panels and keynote address in the Browsing Room, Knight Library, Friday Feb. 22, 10:00-6:00. Around the O / December 12, 2018 — To date, more than 7,000 languages are spoken around the world. As Gabriela Pérez Báez explains, languages hold critical knowledge about the history of survival of the communities of speakers, their ecological perspectives and their well-being. Pérez Báez is an assistant professor in the University of Oregon’s linguistics department and serves as the director of its new Language Revitalization Lab. She also serves as co-director for the National Breath of Life Archival Institute for Indigenous Languages and works with the UO’s Northwest Indian Language Institute, known as NILI. Of the more than 300 languages spoken at the time of contact with Europeans in what is now the United States, more than half stopped being spoken as a result of colonization and state-building policies. These languages are considered to be dormant or sleeping. Many more are highly endangered today. “The language communities recognize how critical the languages are and as a result have engaged in the arduous work of researching the languages in historical archives in order to reconstruct them and bring them back to use,” Pérez Báez said. The Northwest Indian Language Institute provides training to Native American teachers working to revitalize many of these languages. Institute staff also partner with tribes to carry out on-site trainings and develop curriculum to teach highly endangered or sleeping languages in the classroom. The institute’s efforts are being recognized with the announcement earlier in the fall that the National Breath of Life, of which the institute is a partner, has received support through a $311,000 grant from the National Endowment for the Humanities. The grant was awarded to Daryl Baldwin, director of the Myaamia Center at Miami University, and Pérez Báez. Since 2011, the National Breath of Life has provided training on the use of archival documentation for the revitalization of highly endangered and dormant languages to 117 community researchers from 55 language communities. With this growth comes the need for software to support the advancement of the research. In response, the upcoming NEH-funded National Breath of Life 2.0 workshops are designed to provide participants with training in the use of the new indigenous languages digital archive. The archival system is the only available software that allows for the organization, storage and retrieval of digital copies of linguistic archival materials. It directly links independent data derived from linguistic analysis to original manuscript pages. Pérez Báez said its powerful search function allows for the in-depth linguistic analysis required for the reconstruction of highly endangered or dormant languages. The indigenous languages digital archive is modeled after the Miami-Illinois digital archive, also funded by a prior NEH grant and designed by the Myaamia Center to advance research for the revitalization of the heritage language of the Miami Tribe of Oklahoma. Pérez Báez said the grant will support the refinement of indigenous languages digital archive. It will also provide funding to hold two training workshops for community researchers engaged in language revitalization to learn how to use the archival system. The community researchers will then have access to the software free of charge. A National Breath of Life 2.0 workshop will be held at Miami University in July 2019. Applications to the 2019 workshop are being accepted at www.nationalbreathoflife.org. The deadline is Saturday, Dec. 15. The UO institute will hold a second workshop in Eugene in 2020. “NILI is excited to be partnering with the National Breath of Life in this important national workshop, and we look forward to hosting community language leaders from across the nation,” said Janne Underriner, director of the institute. 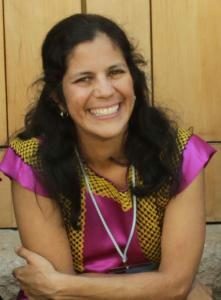 Stephanie Wood, an ethnohistorian and specialist in Mesoamerican culture who is affiliated with the UO College of Education, will soon be launching the creation of a glyph translation tool, the “Visual Lexicon of Aztec Hieroglyphs,” which unites the work of scholars in Mexico, the U.S., Germany, and the Netherlands. The tool will be created with the participation of a Latinx student team at the UO. The result will be a free, online, searchable database of the atomic parts of compound glyphs, all named, annotated, and with attestations of the ways that they appear in compound glyphs in known 16th-century codices, such as the Codex Mendoza, the Codex Xolotl, and others. The resulting site will be at least trilingual, using Nahuatl, Spanish and English. 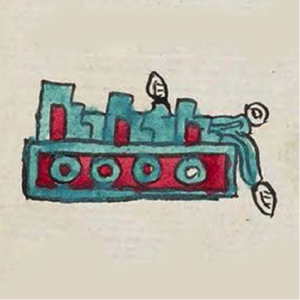 The goals of the Visual Lexicon are manifold: 1) to provide a tool for scholars deciphering glyphs in under-studied or newly discovered codices; 2) to help with the teaching and self-study of glyph decipherment; 3) to deepen our understanding of the Aztec writing system (reading order, phoneticism, regional styles, etc. ); 4) to prepare pedagogical pathways that highlight Aztec cultural hallmarks; and, 5) to be merged with the online Nahuatl dictionary Wood serves from Oregon, besides standing alone . This project is a collaboration with professor and principal investigator Benjamin D. Johnson at the University of Massachusetts, and it is funded out of his three-year grant from National Endowment for the Humanities. Editor’s Note: Professor Gerardo Sandoval is a member of the CLLAS Executive Board. 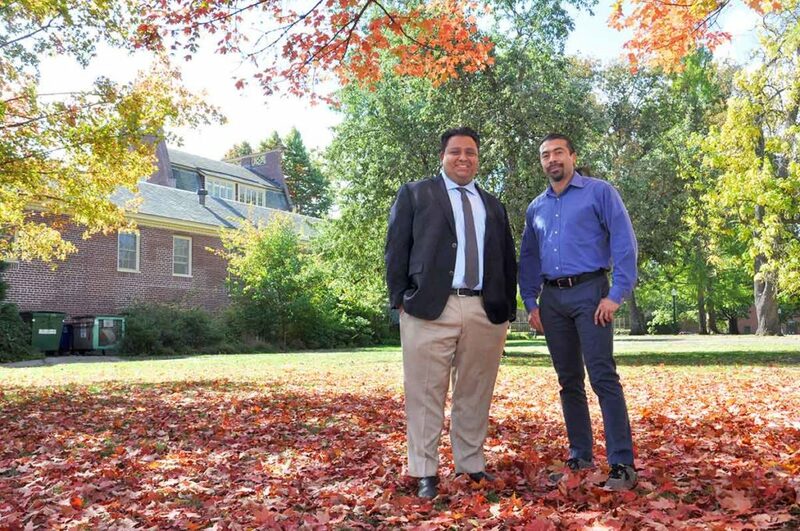 Associate Professor Gerardo Sandoval and Assistant Professor José Melendez. Oregon is positioned to become a leader for researching diversity, equity, and inclusion in public processes and engagement, and the College of Design’s School of Planning, Public Policy and Management (PPPM) will be at the forefront. Three leading scholars in diversity research are joining forces for the new Engaging Diverse Communities team at PPPM. 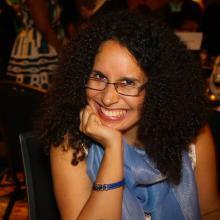 “Growing up in the mountains of Puerto Rico, my curls —‘pelo malo,’as friends called it—betrayed my family’s attempts to claim whiteness by invoking our Spanish great grandfather. Why would my grandmother, who loved me deeply, say that my hair ‘does not come from our side of the family’?